MUMBHAI: Bollywood actor Sonali Bendre, who has been undergoing treatment for ‘high grade’ cancer in New York since July, has shared on social media that she is returning home in Mumbai for a “happy interval” while adding that the “fight is not yet over”, an Indian publication reports. The actor wrote that it is a joy to see her friends and family again and share her journey. Sharing a photo on social media, Sonali wrote, “They say Distance makes the heart grow fonder. It sure does. But let’s never underestimate what distance teaches you. Being away from home in the city of New York, I realized I was walking amongst so many stories. Each trying to write their own chapter in different ways. Each struggling to do it but never giving up. Calling it her new normal, she added, “It’s time to learn that there is a new normal out there and I can’t wait to embrace it. Sonali Bendre on Monday arrived in Mumbai after putting up a brave fight against metastatic cancer for months in New York. 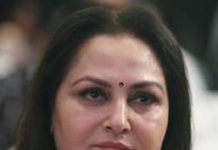 The actress is known for films like Sarfarosh, Hum Saath-Saath Hain and Duplicate was beaming with joy, flashed smiles, gave a thumbs up and joined her hands in reverence for all the love as she landed at her home ground. She arrived in Mumbai in an all-black look and flaunted her shaved head with as much confidence and bravado as she has been showcasing to her fans via social media. She was joined by her film producer husband Goldie Behl. Bendre’s husband said that her treatment has ended for now, but the battle still continues and she will have to go for regular check-ups. “Sonali is doing good. She is back for good. She is recovering very well. For now, treatment has ended. But the disease can come back so regular checkups will be done,” he said while talking to the reporters.